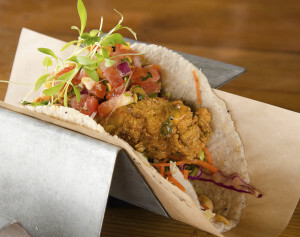 Check out the latest DFW-area foodie events and restaurant specials taking place this month. Have something to add? Email me at foodie @ dallasfoodnerd.com. 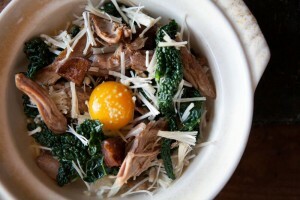 The highly-anticipated Uchi Dallas opens today at 5 p.m. The cuisine will meld the best offerings of the first Uchi and Cole’s second Austin concept, Uchiko. Chef Cole’s signature menu offerings include hot and cool tastings, makimono, yakimono, tempura, sushi and sashimi. Every detail is thoughtfully managed so the guest may enjoy the progression of the meal in a seamless flow, each bite meant to build upon the last. Chef Nilton “Junior” Borges will act as Chef de Cuisine of the restaurant. From June 1 to June 19, guests at any of the six DFW Original Pancake House locations can get involved by coloring or filling out a post card to wish campers a fun time during their week at Camp iHope. For more information on how to get involved or to donate to Camp iHope, please visit www.campihope.org/donate.html. The Original Pancake House will also donate a portion of sales for every Strawberry Cakes sold on the Kids Fit Menu. Strawberry Cakes, created by Texas ProStart culinary students, include three buttermilk or three ancient grains silver dollar pancakes topped with yogurt, bananas and strawberries. Olivella’s is saluting National Cheese Day on June 4 with an all-day special that gives center stage to their favorite frommage – homemade mozzarella. Diners in the Olivella’s Lakewood and Victory Park restaurants who order a Neapolitan (regular) style pizza or Roman (metro) style pizza will receive a free sampler of Olivella’s fresh homemade mozzarella cheese wrapped in prosciutto. Celebrate National Doughnut Day on June 5 at Top Pot Doughnuts (located at 8611 Hillcrest Ave Suite 195 Dallas, TX 75225). The store will give away free doughnut holes from 6:30 a.m. to 9:30 a.m. at the Hillcrest location and 6 a.m. to 9:30 a.m. at the Greenville store. This deal is also valid on June 6! 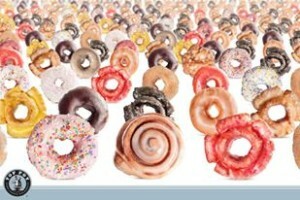 On Sunday June, the Hillcrest location will have a doughnut eating contest at 3 p.m. Anyone 12 and older can enter; no advance sign up necessary. Sea Breeze will host a New England Lobster Bake (June 5 – 6) and their popular cooking classes on June 14 and June 28. Call 972-473-CRAB (2722) for details and reservations. 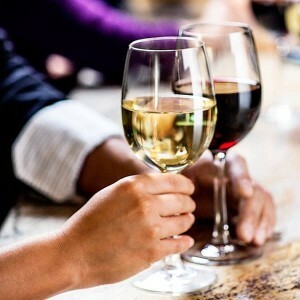 Enjoy a French-themed soiree at Mercat Bistro including live music by DJ Steffi Burns from noon to 4 p.m. on June 6 and June 27. Come have brunch with a mimosa or a glass of rosé, while Steffi introduces you to the latest sounds direct from France. Chef Eddy T’s Fort Worth restaurant, BITE City Grill, will serve brunch every Sunday beginning June 7 from 11 a.m. until 3 p.m. Guests will enjoy eight stations including a variety of hot and cold dishes, including custom omelet and griddle stations. The new brunch buffet is $15.95 for adults, and includes coffee, tea or soft drinks. Children ages 4-10 will dine for half price, while children under 4 are free. In addition to offering Happy Hour prices all day long, BITE will offer mimosa and Bloody Mary specials. 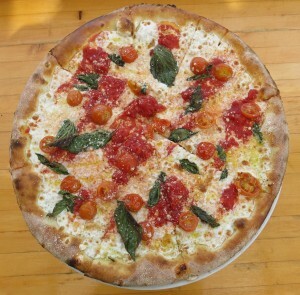 Starting June 10, Roma’s Pizza & Italian Restaurant will celebrate its 11th anniversary with 11 days of food specials. Catch specials like $1.10 kids’ meals, $1.10 happy hour drinks, $1.10 appetizers and more. They will also donate 11 percent of their sales on June 14 to the Children’s Cancer Fund. Check back on their Facebook page for more updates. The restaurant is located at 7402 Greenvile Avenue. Good Local Markets will host the Good Local Lemonade Contest to be held Saturday, June 20 at Lakeside Market (9150 Garland Road) beginning at 10:30 a.m. All ages are encouraged to enter and participation is free. Prizes will be awarded for the People’s Choice Lemonade. 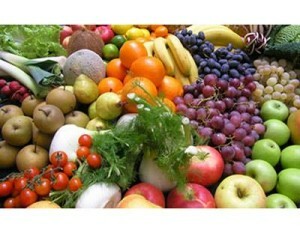 To register online, go to www.GoodLocalMarkets.org. Tasting tickets can be purchased for $2 at the GLM information desk at the event and proceeds will benefit the charity. BRAVO! Cucina Italiana in Fort Worth is hosting Paws on the Patio, a dog food drive and benefit happy hour to launch its newly dog-friendly patio. The event takes place Saturday, June 20 from 11:00 a.m. to 3:00 p.m. Dogs will get to enjoy complimentary treats while their owners enjoy happy hour specialty cocktails and complimentary appetizers with a dog food or cash donation to Don’t Forget to Feed Me. Come back to BRAVO! on Saturdays with your pup as they now have a special doggie menu, which includes meals like salmon with mixed vegetables and peanut butter & banana ice cream. 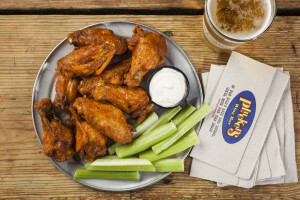 Pluckers Wing Bar is offering dads a free meal on Father’s Day. Dads can select a free entree, side and a non-alcoholic beverage from Pluckers’ extensive menu. A list of Pluckers restaurant locations can be found here. Bonefish Grill will open for business on Monday, June 22 at 11 a.m. at 190 E. Stacy Road located in the Village at Allen. Recognized as the “Fresh Fish Experts,” Bonefish Grill offers a selection of fish species daily such as Chilean Sea Bass and Ahi Tuna as well as meat options such as Rib-Eye Steak with choice of signature sauce. The restaurant’s polished casual approach appeals to those who crave high-quality seafood and wood-grilled specialties at a good value. From 11 a.m. to 10:30 p.m. on opening day, Monday, June 22 the Allen Bonefish Grill will donate 50 percent of sales to the Allen Community Outreach organization, a “One Stop Shop” facility that provides a seamless system of services and programs to help obtain the skills to rebuild lives in the Allen community. Dallas-based home-style cooking restaurant Norma’s Cafe is celebrating its 59th Anniversary by offering guests several popular menu items at just $1.79 on Tuesday, June 23. Guests can order chicken fried steak, meatlook and chicken & dressing at any of the the three locations beginning at 10:30 a.m. Chef and co-owner Braden Wages of Malai Kitchen will appear on Food Network’s Beat Bobby Flay on Thursday, June 25 at 9 p.m. CDT. The episode, called “Mavericks”, will feature Iron Chef Michael Symon and author and TV host Daphne Oz arrive in the arena to beat up on their friend Bobby Flay. Heavy-hitters Chef Sylvia Casares and Chef Braden Wages square off in a battle of sheer will. Judges include: Leah Cohen, Ivy Stark and Corby Kummer. Samson’s Gourmet Hot Dogs has added a selection of burgers. 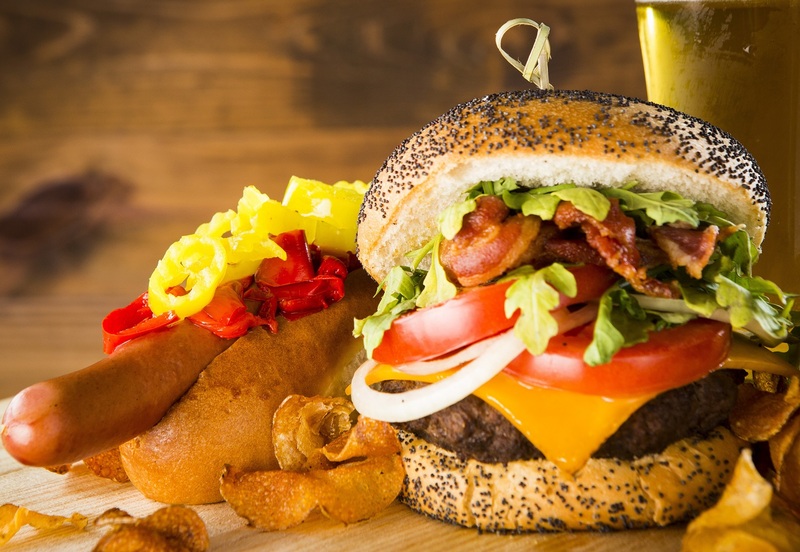 Customers can choose from regular burgers or stuffed burgers, made from Halal beef, along with 31 toppings to choose from. The Big Ol’ Burger: Lettuce, tomato, pickle and onion. The Beastly Burger: American cheese, guacamole, bacon, lettuce, tomato, grilled onions and chipotle sauce. The Eat ME! : Swiss cheese, seasoned sauerkraut, grilled onions, mashed potatoes and spicy brown mustard. The Fork You: A “monster burger” topped with smoked chipotle beef chili, mac ‘n’ cheese, guacamole, grilled onions, a smoked brat, sharp cheddar and sriracha mayonnaise. The Beastless Burger: A veggie burger topped with guacamole, smoked paprika, hummus, lettuce, tomato, grilled onions and banana peppers. The Blue Cheese Burger: Stuffed with gorgonzola and cream cheese and topped with tarragon aioli. The Magnum: Stuffed with roasted jalapenos and smoked chipotle cream cheese and topped with smoked chipotle sauce. The Mediterranean: Stuffed with feta, cream cheese and olive tapenade and topped with arugula, onions and tomatoes. 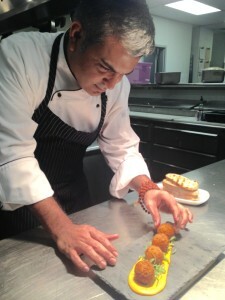 The W Hotel is excited to announce Chef Vijay Sadhu as the new Chef of Cook Hall! Bringing to the table more than 20 years of experience cooking in some of the most esteemed restaurants around the world, Chef Vijay Sadhu will implement updates and improvements to an already excellent menu. Guests can look forward to tasting Chef Vijay Sadhu’s culinary creations along with Cook Hall’s famous vintage cocktails in June 2015. 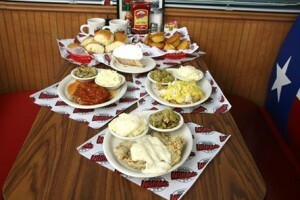 Hutchins BBQ has been placed in newly-released The 100 Best Barbeque Restaurants in America by Johnny Fugitt. Along with the distinction, the BBQ eatery is specifically ranked on the “Top 5 Brisket in Texas” list and “Top 5 Pulled Pork in the Country” list. In one year, the officer in the United States Navy Reserve visited 365 barbecue restaurants across 48 states. The book serves as a guide, chronicling the journey, sharing the secrets of barbecue master while pointing readers to the best plates across the country. To recognize its timeless, scratch-cooking approach and handmade dishes, all 10 Dallas-area Cheddar’s Casual Cafés have converted to Cheddar’s Scratch Kitchen. The new name is part of the company’s campaign to highlight its handmade menu, an important element of the 36-year-old brand that first opened its doors in Arlington in 1979. From now through July 2, local guests are asked to submit their favorite home-cooked side dish recipe to Cheddar’s, either in-restaurant or via email to brandteam@cheddars.com. A panel composed of Cheddar’s culinary and management team along with local dignitaries will choose one side dish to be featured on the menu of all 10 DFW-area Cheddar’s restaurants for six weeks. The winner will also receive a $250 Cheddar’s gift card. Velvet Taco’s unique and tasty taco creations continue on the new menu with original tacos inspired by flavors from around the world. New menu items include the Israeli Cous Cousmade with parsley-mint pesto, tzatziki, roasted portabello, grilled halumi cheese, pickled fresnos and micro greens in a lettuce wrap, Shrimp and Grits with creole mayo, blackened shrimp, crispy pepper jack cheese grits, charred tomato poblano salsa, micro cilantro on a corn tortilla and Cornmeal Fried Oysters with remoulade, napa slaw, roast corn pico, chili butter, micro cilantro on a hibiscus corn tortilla. Also new to the menu, is a brunch section made up of tacos perfect for the morning including the Barbacoa Beef, Egg Frittata made with shredded A Bar N Ranch Wagyu brisket, corn pico, salsa verde, queso fresco and cilantro all wrapped up in a corn tortilla. 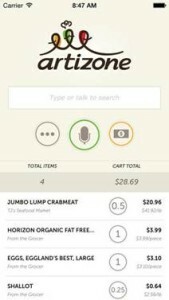 Artizone, the online farmers market and home delivery service, launches the new and free “Say Cheese” app, allowing customers immediate access to the products they love with a direct add-to-cart approach. The clever app converts your shopping list into specific products and quantities, based on previously ordered products, or what others are buying. The app is available on iTunes. The Dallas Farmers Market continues its revitalization efforts by announcing more than 20 new and returning vendors and merchants that have signed leases to be housed at The Market as it re-opens this fall. These food artisans and merchants will join previously announced anchor restaurants Rex’s Seafood and Market, Stocks & Bondy, Taqueria La Ventana, Nammi/Coolhaus, Palmieri Café and Mudhen, the 5,500-square-foot free-standing restaurant and beer garden from restaurateur Shannon Wynne. On the Border, one of my favorite places to get fajitas and margaritas, just added the Border Bowls to their menu. 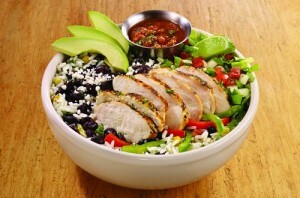 These bowls a=are prepared-to-order with fresh house-made ingredients – cilantro lime rice, black beans, bell peppers, queso fresco, shredded lettuce, pico de gallo, sliced avocado and roasted red chile-tomatillo salsa, as well as your choice of meat. Choose from four flavor-packed options, all Mesquite-grilled and brushed with a cilantro lime chimichurri sauce: beef fajita, chicken fajita, grilled shrimp and portobello mushroom. Cotton Patch is showing its chicken fried pride with a new summer menu that launched this week. 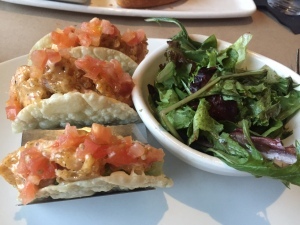 The restaurant brought back its famous Fried Green Tomatoes, as well as offers two new desserts, Strawberry Shortcake and Blueberry Cream Cheese Pie. The seasonal menu also features new “Southern Sippers,” Cotton Patch’s signature cocktails served in mason jars at full bar restaurant locations only.